View the tree & shrub pruning guide to discover the best timing and frequency of shrub and tree pruning. Pruning the various trees and shrubs throughout your property is critical to ensure their health, appeal, and safety. Understanding that pruning is crucial to the livelihood and attractiveness of your landscape is only half the battle. Knowing when and how frequently to prune the different varieties of trees and shrubs on your property will help make certain that your landscape stays in tip-top shape, and you enjoy all the beautiful flowering and fruiting of your various trees and shrubs. Click below to view the guide. For questions about pruning, request a free pruning consultation with one of our Certified Arborists. Don’t wait until it’s too late; regular pruning is not only easier than restoration pruning, but it will ensure your shrubs look great every year! Waiting too long to prune your shrubs can leave you with the daunting task that is restoration pruning. Pruning your shrubs every year (or multiple times a year when needed) will help keep your shrubs under control and looking great. If you neglect to prune a shrub for a few seasons, you may find that the shrub has grown uncontrollably to a point of no return. It is best to prune shrubs in the summer, after the shrub has flowered, but before the buds develop for next year. This is especially important after a spring with optimal growing conditions, with plenty of rain and warm temperatures, as shrubs can grow significantly - even in a short period of time. Pruning in the summer after strong growing conditions is critical to ensure your shrubs do not get out of hand. Regular pruning of shrubs will help keep your landscape attractive and healthy year after year. Should you miss a few years of pruning, you may need to partake in restoration pruning, which is very labor-intensive, has a long turnaround time, and is difficult to achieve without a skilled hand pruner. If you’re not up for pruning your shrubs yourself, request a free consultation and we can have our professional pruners out to do it for you. This forsythia flowered beautifully early in the spring, but optimal growing conditions in the late spring led the shrub to grow uncontrollably. It must be pruned this summer or else it will be beyond restoration next year. Hand pruning may be tedious, but if you prune your shrubs each summer you'll keep them in check and looking great! Understanding the importance of pruning is only half the battle. Next you must determine when and how often to prune your trees and shrubs. Pruning is critical to ensure the health and appeal of your trees and shrubs. Once you recognize the importance of pruning, you then need to figure out when and how frequently to prune the various trees and shrubs across your property. The following information should serve as a guideline to the proper timing for tree and shrub pruning. 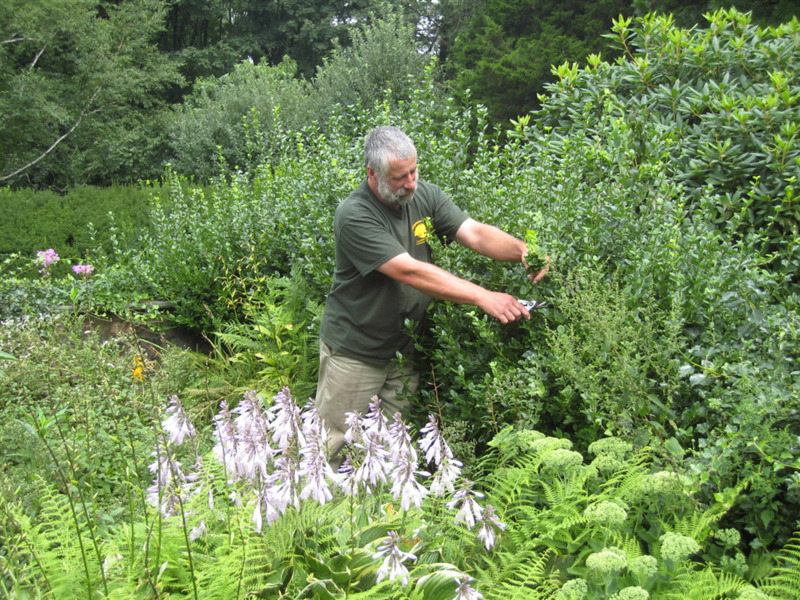 Summer is the ideal time for shrub pruning, as you’ll enjoy the spring and summer flowering of the shrubs, and then prune them before they begin to develop buds for the next year. Wait too long to prune certain shrubs and you’ll actually be pruning off the buds of next year’s flowers. 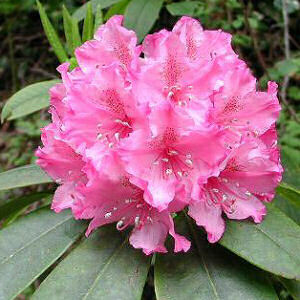 Shrubs, like rhododendron and hydrangea, should be pruned every summer to ensure the desired shape. Pruning shrubs every year will ensure they stay healthy, and maintain the shape and look you desire. Like shrubs, it is a good idea to prune ornamental trees every summer. Flowering trees, like the Kousa Dogwood, will benefit immensely from yearly summer pruning. Pruning after the spring and early summer flowering will allow you to enjoy the beautiful flowering, but make certain that the tree is in optimal shape for next year’s flowering cycle. It may be appropriate to prune ornamental trees every two years, but when you start waiting three or more years between prunings, you will run the risk of losing control of the tree’s shape and health. Mature shade trees should be pruned every two to five years to ensure proper light and airflow to keep the tree safe and healthy. The best time to prune, for both the Arborist and the homeowner, is during the winter months, from December to March. Pruning shade trees in the winter when there is no foliage ensures an Arborist easy access to the tree and clear sight lines. As an added benefit, most tree service companies provide a winter discount as the work is generally easier at this time. Now that you’re equipped with a valuable pruning timeline, take advantage of our free consultations and meet with a Certified Arborist to discuss your tree and shrub pruning plan. Pruning foundation shrubs every summer will keep them healthy and attractive.